Utmost Renovations is proud to renovate and rebuild homes daily. But building young individuals who can carry our great community forward is also very important to us. That is why we participated in Homeport’s recent “Strong Kids in Safe Neighborhoods” fund-raiser supporting after school and summer programming for Central Ohio children. It was a knockout of a program headlined by motivational speaker, boxer, author and entrepreneur George Foreman III, son of the former world champion heavyweight boxer. 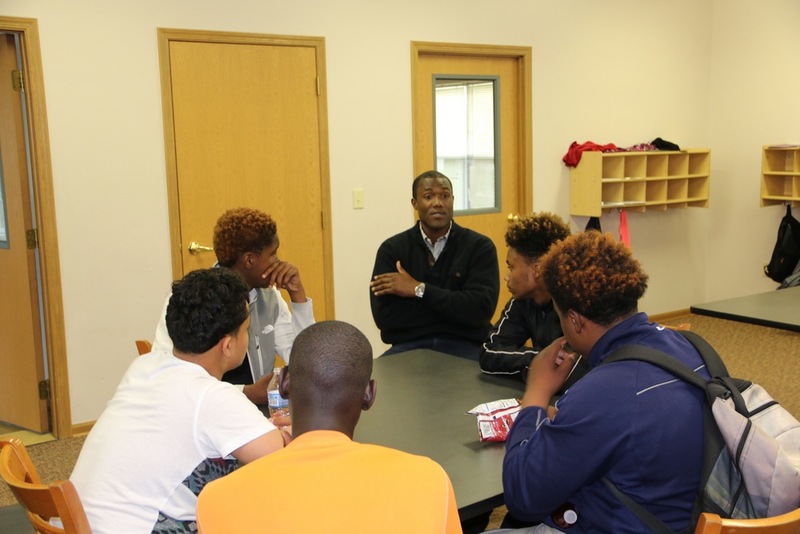 Prior to the event, Foreman visited middle school students at Homeport’s Marsh Run Apartments on the East Side! But now that the big program is over, so much work remains. And this is where you can help give children a fighting chance for a healthy and stable future. Join us in helping fund Homeport’s after school and summer programs where hundreds of children daily receive homework help, a healthy meal and personal attention. To learn more, contact Julie at julie.naporano@homeportohio.org. Or consider donating directly. We have and hope you do too.